A great way to support healthy a healthy endocrine system is to use essential oils! 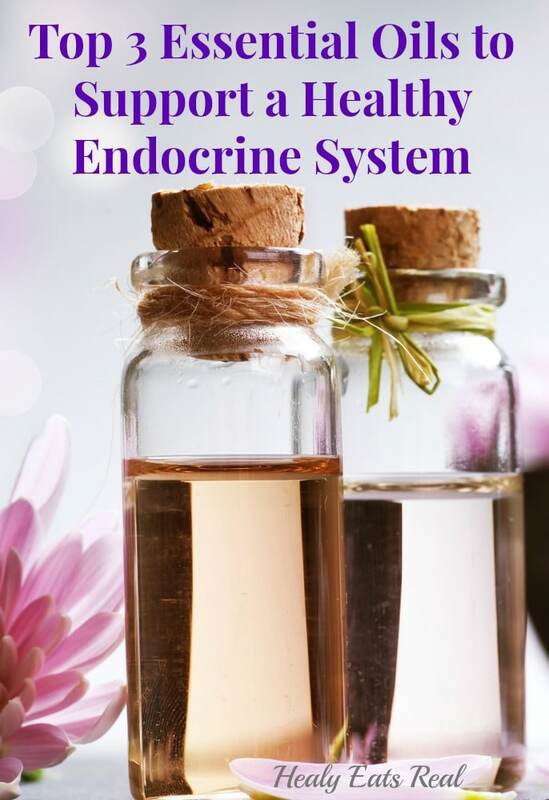 Although diet and lifestyle play a large part in maintaining a healthy endocrine system, essential oils can also help to naturally keep you well. 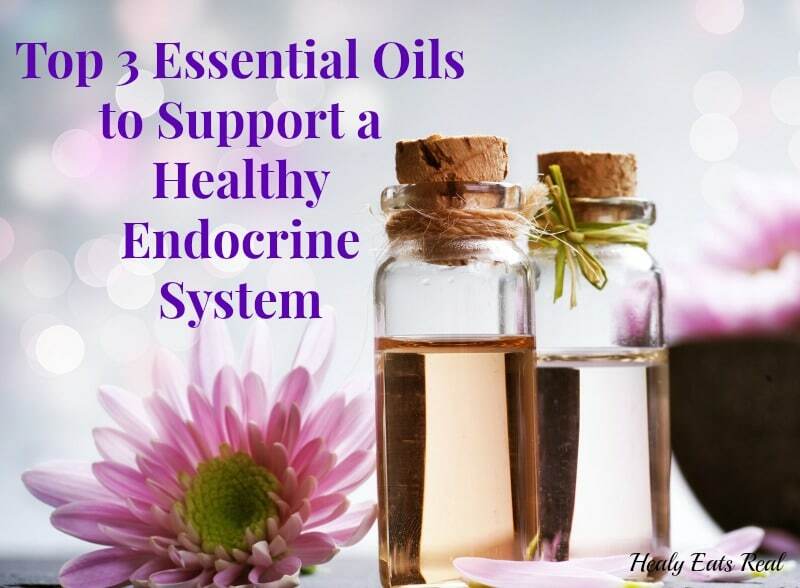 Below are 3 essential oils that may help with supporting a healthy endocrine system. Yes, you can buy essential oils anywhere, but they are not always going to be pure and 100% therapeutic grade, which means that they might not even be effective for the uses that you want them for! I only choose Young Living because after doing some research and comparing different companies, I’ve found that Young Living is the most reputable company. I love the fact that unlike most other companies, Young Living actually owns and operates organic farms to cultivate plants like lavender, oregano, sage, frankincense and more which are used in their oils. Young living also goes to great lengths to guarantee and test oil purity and strength. Their oils are of the best quality and are safe and effective 100% pure therapeutic grade. I’ve even compared them to my store-bought brands and definitely notice a difference. If you’re interested in getting into the many amazing uses of essential oils, I highly recommend the premium starter kit. It is an amazing value and contains all of the oils mentioned above, plus a home oil diffusor and more. Click here to see the full list of products in the premium starter kit. It contains spearmint, sage, geranium, myrtle, german chamomile, nutmeg and sesame seed oil. You can get quality essential oils like EndoFlex here. Progessence Plus is another Young Living blend formulated to support a healthy female endocrine system. Progessence plus uses natural progesterone from wild yam extract in order to support healthy cycles. Progessence Plus contains very a small amount of progesterone that is generally safe for females to take. Always consult with your doctor before starting any natural EO protocol. You can get quality essential oils like Progessence Plus here. 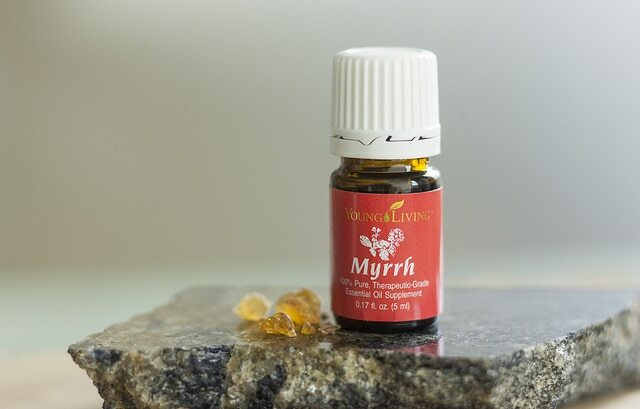 Myrrh contains sesquiterpenes, which may to support healthy glands. The hypothalamus produces many vital hormones including thyroid and growth hormone. You can get quality essential oils like Myrhh here. I diffuse these oils, inhale them or apply a few drops topically on my neck, feet or wrists daily. I only recommend Young Living and would not personally ingest or topically use any other oils. There are a wealth of essential oils that can help you maintain overall health. My recommendation is to be your own health advocate and research essential oils depending on your personal wellness needs. Get a FREE BONUS Goodie Bag when you get started with an Essential Oils Kit this month! If you don’t have essential oils yet, NOW is a great time to get a starter set of essential oils and a diffuser for 50% OFF (essential oils can support your immune system, maintain healthy hormones and help you get rid of all those toxic candles and plug-in air fresheners). You’ll get access to my members-only online community to learn how to use your oils, ask questions, participate in giveaways and get lots of education and support. 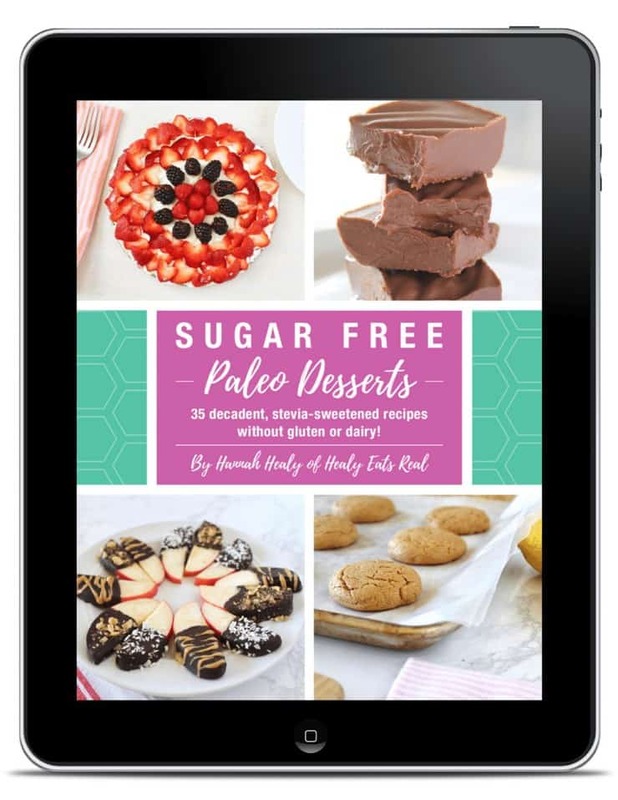 I’m also gifting amazing free bonus gifts this month to my new members . Just leave a comment on this post that you’re interested in learning more about getting started with essential oils and I’ll email you the details on this month’s free goodie bag! My question is how do you use these oils? Just by rubbing them in the skin, is there a certain area I should rub it in? Thanks! The article does not really tell a protocol for using these three oils….other than inhaling them, diffusing them and applying a few drops topically, it does say how many times a day you should do this. Should they be ingested?? I am trying to get off of Synthroid and knowing how to replace the synthetic medication for essential oils is key in keeping my levels all balanced. Were you on medication and get off of it? Would love to know more specifics. I’m sorry Cindy, but I am not a doctor and cannot legally recommend a protocol to help you get off of your medications. No, I understand that, I think those of us interested, are wondering what exactly others have done to help them specifically. I can say to someone I used essential oils instead of antibiotics to cure my strep throat, tell them what I used but also say, that’s just what worked for me. I would hope they wouldn’t assume I’m a doctor and that I’m qualified to disperse medical advice. I think most of us are just looking for a BASIC place to start. Thanks! I use these oils topically on my neck, feet and wrists. I also diffuse them and inhale them. I apply a few drops of each oil topically every day. Hello Cindy! I went off Synthroid and went to natural remedies. I am not a doctor, and everyone’s body is different, so I cannot guarantee this will work for you. I did not use oils, but homeopathic tonics by Dr. Reckeweg and a product called thyroid pro, which is manufactured by Canprev. 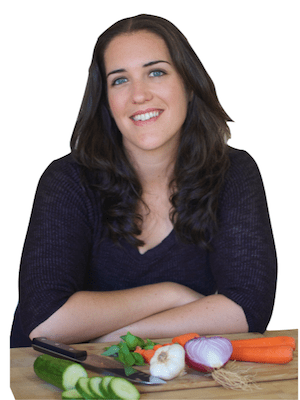 My health monitored by a naturopathic doctor and I feel so much better! Hope you find what will work for you! I would like to know if we can mix these three oils together and also if we use them neat or with a carrier oil. I am asking anyone who has used them for this purpose…in your opinion and your experience with these three has anyone mixed them together? I apply them neat. 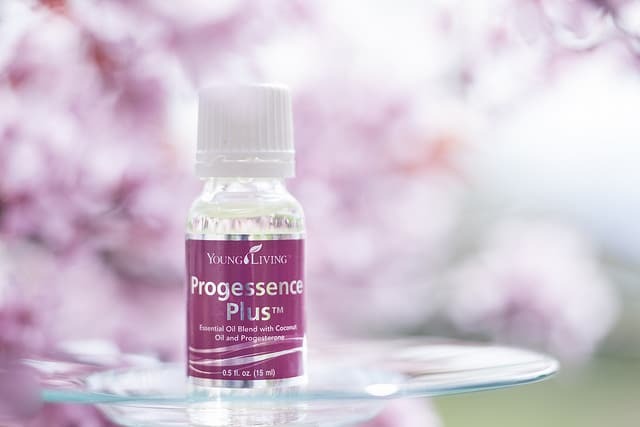 Progessence plus is a blend that already contains a carrier oil. You can blend the others with a carrier oil if you prefer. Can i use it for hyperthyroid too? Cause i read so many only about hypothyroid. Thanks.